According to a report from Politico, the ex-wife of Andy Puzder, Donald Trump’s nominee to serve as labor secretary, appeared in disguise on The Oprah Winfrey Show where she leveled accusations of domestic abuse. Lisa Fierstein (then Lisa Henning) appeared on the talk show wearing a wig and glasses under the name “Ann.” Though Winfrey’s company could not locate a tape, and it’s not clear what year she appeared, a spokesperson for both Fierstein and Puzder confirmed her appearance on the show. 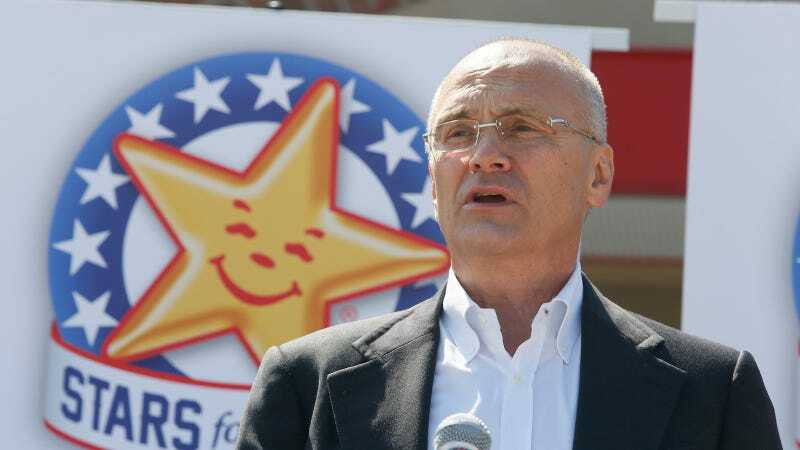 A friend of Fierstein’s also confirmed to Politico that the domestic abuse allegations made during the appearance were directed at Puzder, though she did not mention him by name. Many years ago I impulsively filed for divorce and was counseled to file allegations that I regretted and subsequently withdrew over thirty years ago. Andy is a wonderful father, a great person, and was a good husband. He and I have long ago worked out any differences that occurred over thirty years ago and I cannot recall a single incident involving the police. Jezebel has reached out for comment on the Oprah appearance as well as the newly uncovered domestic violence allegations. We will update this story if we hear back.